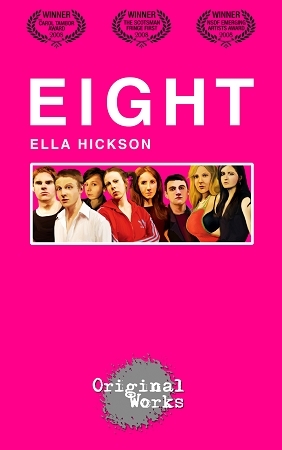 Synopsis: EIGHT swept the board at the biggest arts festival in the world, the Edinburgh Festival, in 2008. An underground hit propagated by sensational word-of-mouth, it went on to win a coveted Scotsman Fringe First Award, the NSDF Emerging Artists Award and the Carol Tambor ‘Best of Edinburgh’ Award, awarded to only one show across the thousands of productions at the festival. Introducing eight beguiling oddballs, struggling to define what it is to be normal amidst the dissolution of social, moral, sexual and cultural boundaries in The Naughties. From high-class hookers to those who make friends in morgues, to single mothers and bereaved gallery owners, Eight gives all of these otherwise neglected characters center-stage, including the moving, politically punchy portrait of a man who has lost everything except his memories of the 7/7 London bombings. This edition of EIGHT is only available to customers in the US, Canada, and Mexico. Customers outside those countries should buy the UK edition here. "Ella Hickson is a huge writing talent. "Ella Hickson’s writing is terrific.